ATLANTA, GA - MARCH 31: Trae Young (11) of the Atlanta Hawks celebrates after the game against the Milwaukee Bucks on March 31, 2019 at State Farm Arena in Atlanta, Georgia. 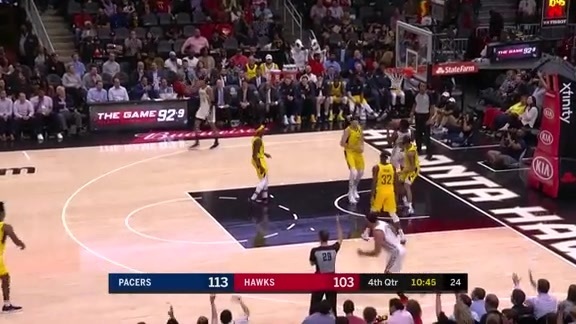 ATLANTA – The Atlanta Hawks will cap off its year-long 50th Anniversary celebration with Fan Appreciation Night presented by the Georgia Lottery as the team takes on the Indiana Pacers. The night will be an enormous THANK YOU to the team’s fans for their support over the past season, set with giveaways, alumni meet-and-greets, special on-court contests, fan video highlights and more! Also unique to the final game of the season will be the unveiling of the latest Tiny Door ATL, an Atlanta-based art installation that represents various Atlanta landmarks and neighborhoods. 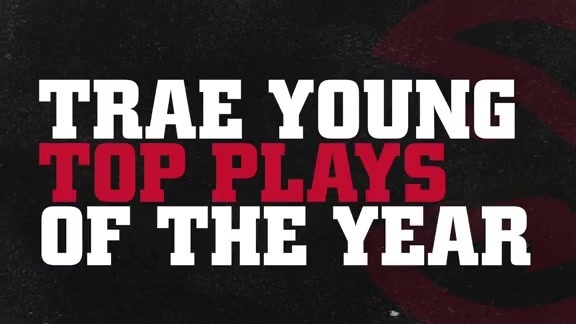 As part of the evening, fans will be treated to several giveaways from Atlanta Hawks’ partners including Georgia Lottery, Chick-fil-A, and FOX Sports Southeast. All fans 21 and older will received a commemorative anniversary coin courtesy of Budweiser, while supplies last. During halftime, past Hawks players will be acknowledged at center court. In addition, Sharecare, the club’s official jersey patch partner, will greet select fans with a hand-picked, autographed jersey from their favorite Atlanta Hawks players. 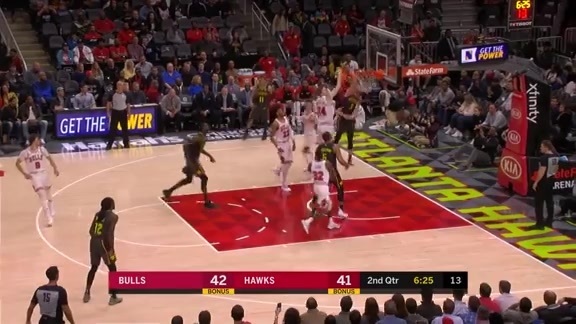 “We are focused every day on our commitment to give our fans the best night out in the city, and Fan Appreciation Night is another chance for us to tell them how much we value their support and commitment to the Hawks,” said Steve Koonin, CEO of the Atlanta Hawks and State Farm Arena. The team began its recognition of its golden anniversary in the city of with a two-week exhibition at the Atlanta Hartsfield-Jackson Airport. Later during the summer, the team unveiled their commemorative 50th anniversary, black and gold court and uniforms, which were featured throughout the 2018-19 season. At each game this season, the Hawks have recognized community icons including former President Jimmy Carter and First Lady Rosalynn Carter, Congressman John Lewis, Ambassador Andrew Young, and others who have epitomized being “True to Atlanta” through their contributions to the city’s cultural fabric and global profile. The Hawks game versus the Indiana Pacers will tipoff at 8:00 p.m. For tickets to fan appreciation night, visit hawks.com/thankyou.